Dr. Wanda Cook-Robinson, a lifelong educator, was appointed Superintendent of Oakland Schools in July 2015 after serving 14 months as the district’s Chief of Staff. Cook-Robinson supports the academic achievement of the 207,000 students in Oakland County’s 28 public school districts, charter schools and non-public schools. 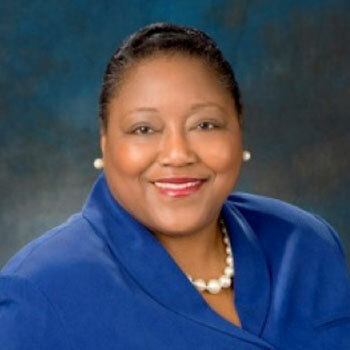 She is a former superintendent of Southfield Public Schools, where she oversaw increased student achievement, expanded opportunities for students and enhanced professional development. She was named 2013 “Michigan State Superintendent of the Year” by the Michigan Association of School Administrators. Cook-Robinson holds a Ph.D. in instructional technology and an Ed.S. in educational leadership from Wayne State University; a master’s degree in curriculum development and supervision from the University of Michigan; and a bachelor’s degree in special education from Michigan State University. She is the recipient of the 2017 Courage Award for Educational Excellence and Development from the Greater Pontiac Community Coalition.